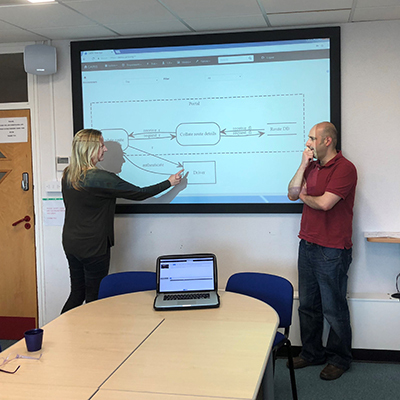 Ricardo has joined with Bournemouth University to launch a PhD research project looking at the integration of safety, security and human factors in the rail environment. “As digital technology plays an increasingly prominent role in day-to-day railway operations, so the industry must prove itself ever-more resilient in the face of current and emerging security threats," says Dr. Shamal Faily, Senior Lecturer at Bournemouth University. "These can range from theft and vandalism of physical assets such as trains, tracks, and stations, to cyber-attacks on operational software and internal networks”. But any response from the industry – such as physical or digital security measures, or simply increased vigilance - must fit around the needs of passengers, staff and the surrounding communities. "If security responses place too much of a burden on the system, or are poorly designed, ” says Dr. Eylem Thron, Senior Consultant at Ricardo, "then customers could drift away, revenues might fall and, paradoxically, more safety and security risks could be exposed - either through increased human error or because of more intentional violations arising out of frustration." To explore this challenge Bournemouth University will commence a three-year doctoral research project in September 2018 to develop a tool-supported framework for integrating safety, security, and human factors techniques in the design and evaluation of rail infrastructure systems. During the first year of the project the student will conduct literature-based and qualitative research to identify concepts and techniques between safety and security engineering. This will be complemented with software prototyping to support preliminary evaluations. In years two and three the student will develop low and high-fidelity prototypes of framework elements, and evaluate the framework in the context of rail systems with conflicting security, safety and human factors expectations. As one of the few rail consultancies with capabilities across safety, security and human factors engineering, Ricardo is a natural partner to support this research. The business will provide financial support of the studentship as well as facilitate access to recent case studies and current industry practices. The research will also serve as an important source of knowledge exchange for both the University and Ricardo's practitioners. For the University, the partnership will bring operational insight to academic research, and lead to new techniques to make railways safer and more secure. For Ricardo, the partnership will help inform new products and tools for building and evaluating rail infrastructure specifications.